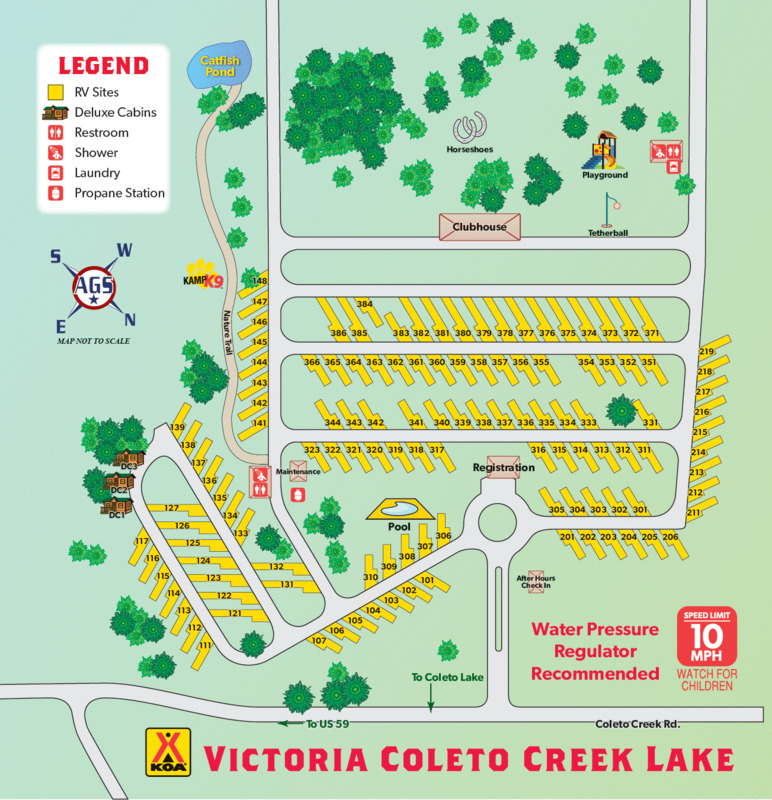 Ask fellow campers about "Victoria Coleto Creek Lake KOA" and nearby attractions. We have stayed at this park before however this time they have had a lot of rain and the park showed it. We were in a spot that had standing water and mud. There were some spots that we fine. It was not the fault of the park that they had so much rain. I do think they should have reviewed the available sites and close those that were bad like the our spot. The park has been one of our favorites to stay in the past. There is nice spacing and prior to the rain the interior roads were good. The park is under new management and the new owner is working on improving the sites and the roads as best he can in these wet conditions. We think it is a good park if they can improve those sites effected by the water or not use them until it dries. We camped at Victoria Coleto Creek Lake KOA in a Fifth Wheel. We were looking for a new place to spend the night around Victoria, since our previous campground had increased their price by about $20. KOA’s are consistently pretty good, and this one was a little cheaper, so we decided to try it. We were coming through on a Sunday and called to reserve a site. The voicemail said the office closed at 3:00 (it was 1:00 at the time), leave a voicemail. I did...several times. No one ever answered or returned my call. Finally I went online and made a reservation, since I didn’t know if any sites were available. When we got to the KOA, there was no one in the office and no packet on the board for us, so we just picked a spot. There was a number to call on the board, and no one answered that. We never saw nor heard from any KOA personnel. I can’t recall ever checking in to a KOA in the USA without being led to the site. There were lots of potholes in the road and small ponds in front of every pull through. The utilities were surrounded by water, in part because the faucet was leaking. It had rained the previous day, but there’s no maintenance being done to correct the low spots. The rv pad itself was fairly level. The cable did not work and the WiFi was weak. The water pressure and power were good. We did not need any of the facilities, so we can’t comment on those. We did not feel that travelers are welcome here (most of the residents were workers) and won’t be staying here again. We camped at Victoria Coleto Creek Lake KOA in a Fifth Wheel. One of the cleanest KOA parks I have ever stayed in. Bathrooms/showers were immaculate. Another nice feature was the on-site café. They serve great pizza, sandwiches, and burgers. We camped at Victoria Coleto Creek Lake KOA in a Motorhome. This park had become on our favorites to visit. There are back in's and pull thru's. All this sites are gravel, long and have nice space between. The staff is very friendly. The services are good and convenient. The WiFi is good. the interior roads are rock but easy to get around with big rigs. There is a small restaurant run by the park that has Pizza and other foods on certain days. Very good food. We camped at Victoria Coleto Creek Lake KOA in a Fifth Wheel. This is a very nice campground. We only stayed one night, but would return if we're ever in this area. The people there are very friendly. It's the kind of campground you could just kick back and relax at. We camped at Victoria Coleto Creek Lake KOA in a Motorhome. I spent the winter here. This is a nice KOA, although kind of out of the way. 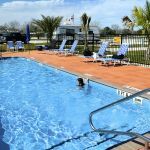 Staff was great, park was clean, and for KOA, a great rate (monthly). There is an onsite restaurant of sorts that has breakfast and lunch fare (pizza, burgers, etc.) Ice available. Pool. Sites are large and not terribly close together. Gravel and level, with concrete pad with grill and picnic table. Utilities great. They accept bulk mail and packages. Everything you need is about 20 mins away in Victoria. Small convenience store a few miles away has the basic necessities. Only negative for me was that the power pedestal was more toward the front and I needed all 25 feet to reach the hookup. We camped at Victoria Coleto Creek Lake KOA in a Travel Trailer. There is a state park right across the street. My husband and I stayed a month. We did get a special rate for a month stay. Our site was nice and large. Fit our 39 ft 5th wheel easily. Great laundry facilites. Private nice showers. We were very happy with the employees. They had a kitchen to order meals if wanted.The food was very good at reasonable price. Wonderful breakfast. We felt safe, welcomed, and left satisfied. We will be back next year for sure. The only things I would add would be a monthly pot luck for the guest and a happy hour type get together at least 2 nights a week to make it easier to get to know the fellow campers. And maybe a building with workout equipment. We camped at Victoria Coleto Creek Lake KOA in a Fifth Wheel. Victoria has so many good Mexican and Asian restaurants. The tour of old historic homes was enjoyable. Close enough for a day trip to Corpus Christi. Very nice mall and variety of other stores in Victoria. Good antique shopping. Close places to fish. This is a nice park. Located out od Victoria, but and easy drive in to town. The sites are long and nicely spaced. No problem with big rigs. All the services worked fine for us, the WiFi seemed fine for a park. We were there when there was a lot of rain, although the park did have some standing water the sites site were generally fine. The park is well maintained and managed. Friendly staff. They have very good pizza available at the club house or they will deliver to the site. They have other food service available. We enjoyed the stay and will return when in the area. We camped at Victoria Coleto Creek Lake KOA in a Fifth Wheel. Thanks so much for your kind review! 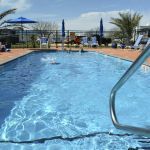 We are happy to hear you had a great stay with us, and enjoyed your campsite, our grounds, the pizza that we offer, and that our staff was friendly and helpful for you. We look forward to seeing you again sometime! Like all KOAs, price a little high but sites are easy to get into and clean. WIFi has worked fine for us. We camped at Victoria Coleto Creek Lake KOA in a Motorhome. What a great place to stay! The park is newer (2 years old) with level concrete pads, two grassy dog runs, a nature trail, fire pits, a nice pool, and very friendly employees. Not only do they lead you to your spot when you arrive, but they come by and pick up your trash in the morning. There appear to be some long-term residents, but they are friendly and their sites are neat and clean. We will definitely stay here again when we are in the area. We camped at Victoria Coleto Creek Lake KOA in a Motorhome. Outstanding staff handled all our mail/Amazon deliveries without a hitch. Laundry spotless and fairly priced. Park two years old. Poor cable and WiFi. Almost out of reach for older Jetpacks, our new one worked much better. OTA TV got all the Victoria stations. We stayed three months at $375+.11kw, which we felt was a great value. Can't say enough good about the staff. We've already made our reservations for next winter. Very quiet and no thru traffic. Even got the newspaper delivered to our spot. Odd to have so many potholes in a new park, needs a good blading. We camped at Victoria Coleto Creek Lake KOA in a Motorhome. The H E B Plus on Navarro in Victoria is an outstanding place for fresh food. Nicest KOA. Only 2 years old, clean, large lots, easy access, nature path, 2 dog parks. We camped at Victoria Coleto Creek Lake KOA in a Fifth Wheel. I somehow did not review this park last month during my fall trip. This new KOA has only been open about a year. We had a level, FHU, back-in site near the office. Their cable TV was only 25 channels that were OK. Most sites are satellite friendly. The Wi-Fi was Tengo and completely worthless. Another customer who has been here since shortly after the park opened stated that the Wi-Fi has been a problem from day one and has been down more than up. I don't know why any new RV park would use Tengo. A little research would have told them that Tengo is despised throughout the RV community. The park sites and facilities are fine. Roads are paved and the gravel sites seem level. With the exception of 7 pull-throughs on the south end of the park, all sites are back-ins. 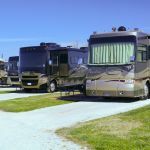 Of the maybe 30 or so RVs in the park, most appeared to be long term customers. The pool was small but nice since we were the only pool users. There are two shower/bathroom facilities. One is in the south area of the park and isn't too far from about half the sites. The other one, which also includes the laundry facility, is at the northwest corner of the park about 100 yards from the closest RV site. That is really inconvenient for those folks in the south part of the park. You will have to drive to Victoria to shop or eat. I did not check out the Coleto Creek Park across the road. I would not return to this park as long as they still have the Tengo problems. Otherwise, it a nice park. We camped at Victoria Coleto Creek Lake KOA in a Motorhome. 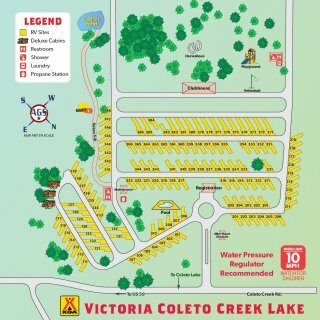 Are you affiliated with Victoria Coleto Creek Lake KOA ?